This is lovely Judy! 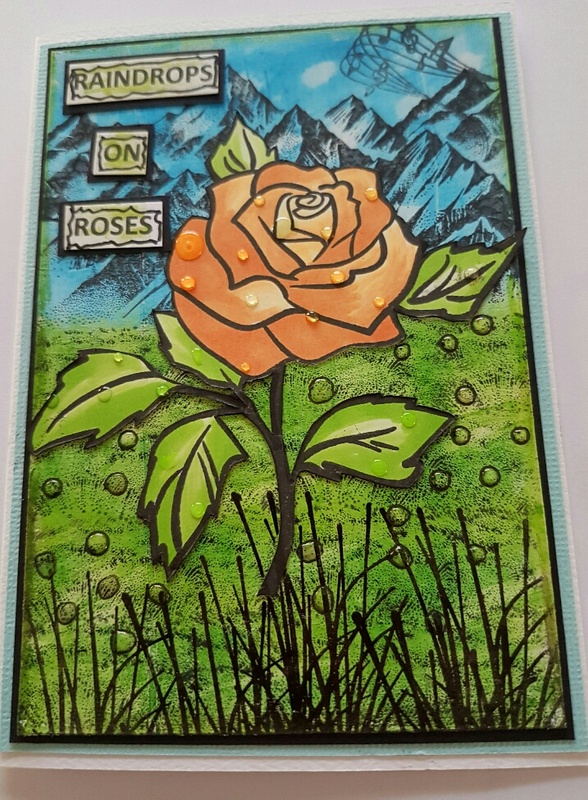 You've got the musical notes, the beautiful mountains and that lovely big rose with it's raindrops - well done you - great effort and lovely result. Thank you for sharing this with us at Fashionable Stamping Challenges and joining in with my theme this month, Leanne DT. 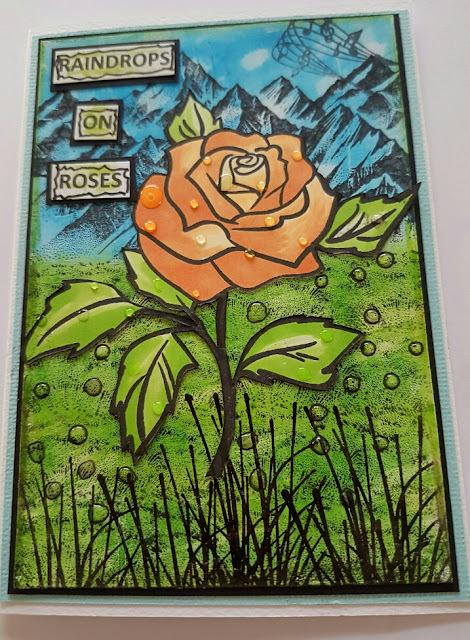 Absolutely lovely and a perfect interpretation of our theme, many thanks for sharing with us at Fashionable Stamping Challenges. Wow! What a beautiful, colorful take on our challenge. Thank you for sharing with us at Fashionable Stamping Challenge! Wow, what a great card. Wonderful the big rose and raindrops. Thank you for sharing this with us at Fashionable Stamping Challenges.